Welcome to my review of the Razer Hammerhead USB C headphones. Whilst these are made specially by Razer, these are quite unique at the moment being terminated with a USB C connection. Razer also has included a special DAC for an improvement performance. I tested these with the Razer phone, Huawei Mate 10 Pro and a MacBook Pro and then compared then to the Sennheiser Momentum in ear headphones. So it back any enjoy the review. 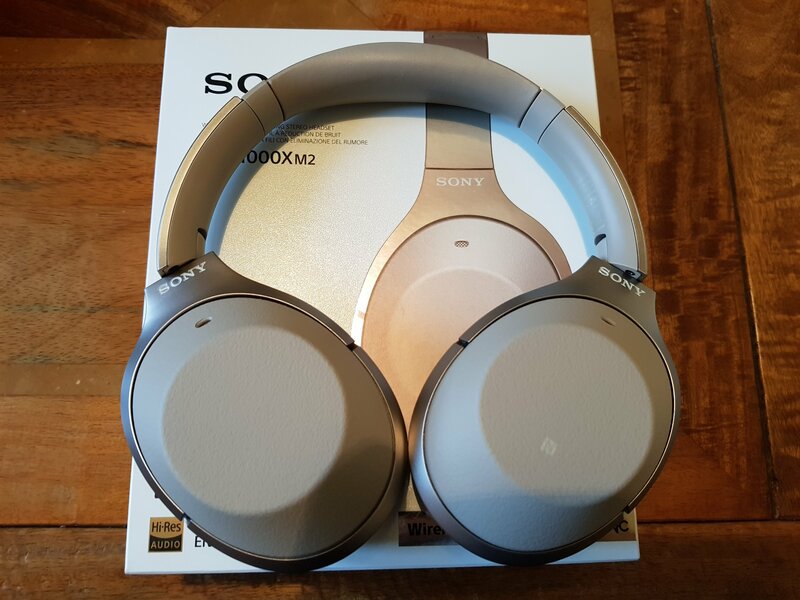 Welcome to me review of the Bowers & Wilkins PX Wireless Headphones. Welcome to my review of the Google Pixel Buds. In this review, I am going to cover off how to pair, use and a number of tips and tricks as well as my verdict on the sound quality. So for the full rundown, now take a look at my video review. The Google Pixel Buds are a surprising package, with good audio, Google Assistant and more. Recommended. Alpha & Delta JAAP Wireless Sports Earphones Review – They don’t fall out! Welcome to my review of the Alpha & Delta JAPP Wireless Sports Earphones Review. These wireless earphones are named after the inventor of Bluetooth, Jaap Haartsen. They retail for $90. Alpha & Delta designed the Jaap is to overcome the existing problems that plagued truly wireless earphones namely: poor fit, poor battery life and poor connectivity. First up they feature a behind-the-ear hook design which ensures it stays secure during workouts. I even tried shaking my head to make them fall off, and they didn’t. The tips are using the patented SpinFit bud which is amazing from a comfort and sound quality point of view. They are also IPX5 sweat resistant, so ideal for working out. The battery life is 6 hours plus the supplied battery bank/charger provides another 8 hours. In terms of connection, I never lost a beat. Each earphone feature a dual antenna design. To start you pair the left side and then turn on the right earphone, which pairs automatically with the left. Neat. In use, the earphones fit really well and their design is also comfortable, despite its size. I felt the charging solution felt a bit cumbersome but it works well. It is also nice that a carry case to hold everything is included. The sound quality is pretty good as the SpinFit earbuds provide a solid seal in the ears. Treble is controlled and bass fairly deep. Mids are reasonably clear too. Average soundstage but overall these are a pleasure to listen to music with for extended periods of time. Despite their larger size, the Alpha & Delta Wireless Sports Earphones sound good with decent bass, fit securely and comfortably and are recommended. 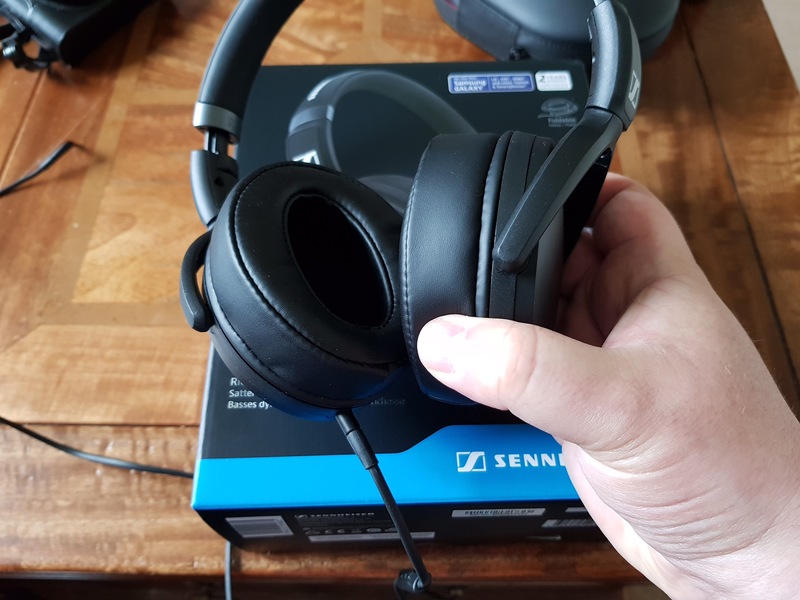 Welcome to my review of the new Sennheiser HD 4.30G Around-Ear Closed back Headphones. – Soft, comfortable ear pads for enhanced comfort- you will forget that you are wearing them! Sennheiser sell two versions of these headphones. The HD 4.30G and HD 4.30i. One is for Android/Samsung and the other for iOS devices. The Sennheiser HD 4.30 are comfortable and are specifically designed to be driven from a phone. In fact at 18 ohms and 120db, these are a perfect match for most smartphones. With my Samsung Galaxy Note 8 these are a fantastic pairing. Dynamic, punchy bass which is slightly emphasised, good mid and treble, reasonable separation, passive noise cancellation in an over the ear style, what more could you want. Extremely recommended for phones and other portable devices. Dynamic sounding, punchy and worth every penny. I love them! More information and the latest pricing from Amazon UK – Click HERE. 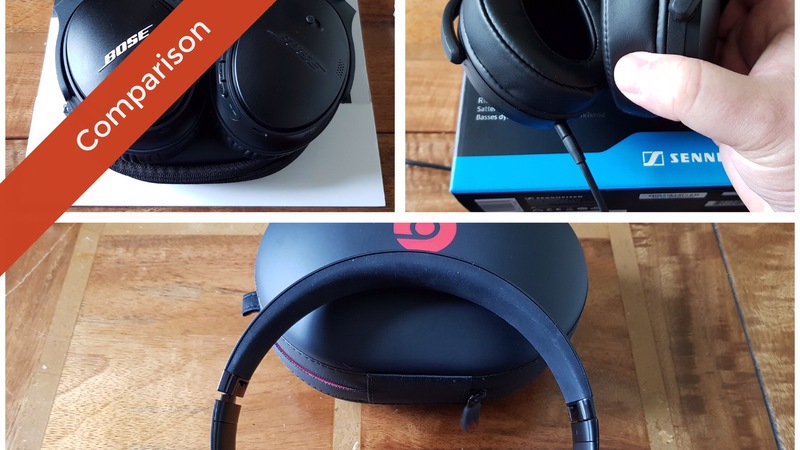 PS Next up is a 3 way comparison with the Bose QC35 II and new Beats 3 Wireless headphones. 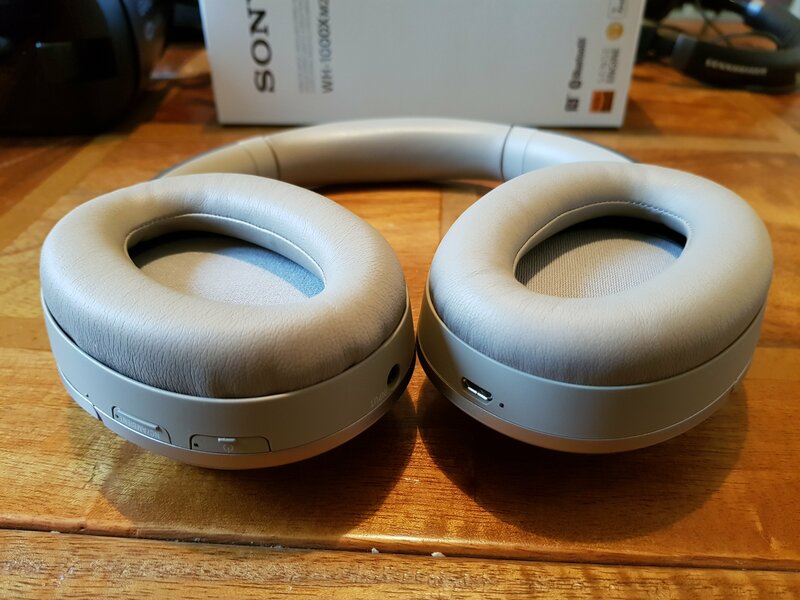 Can these £90 pair of headphones take on £300 wireless flagships? The big headphone shootout. Bose Quietcomfort 35 II with Google Assistant vs Beats Studio 3 Wireless with Apple W1 Chip vs Sennheiser HD 4.30 Wired headphones. – QuietComfort 35 wireless headphones II are engineered with world-class noise cancellation. – With the Google Assistant built in, you can play music, receive texts and get answers without glancing at your phone. – If you’re not a Google user, don’t worry. You can use the Action button to adjust your level of noise cancellation between three settings. – You can still use Siri or Bixby via the traditional control button on the other headphone cup. – 20 hours battery life. – 15 min charge gives 2.5 hours use. – Pure Adaptive Noise Cancelling (Pure ANC) actively blocks external noise. – Real-time audio calibration preserves a premium listening experience. – Up to 22 hours of battery life enables fully-featured all-day wireless playback. – Apple W1 chip for Class 1 Wireless Bluetooth® connectivity and battery efficiency. – With Fast Fuel, a 10-minute charge gives 3 hours of play when battery is low. – Pure ANC-off for low power mode provides up to 40 hours of battery life. – Take calls, control music and activate Siri with multifunction on-ear controls. – Soft over-ear cushions for extended comfort and added noise isolation. 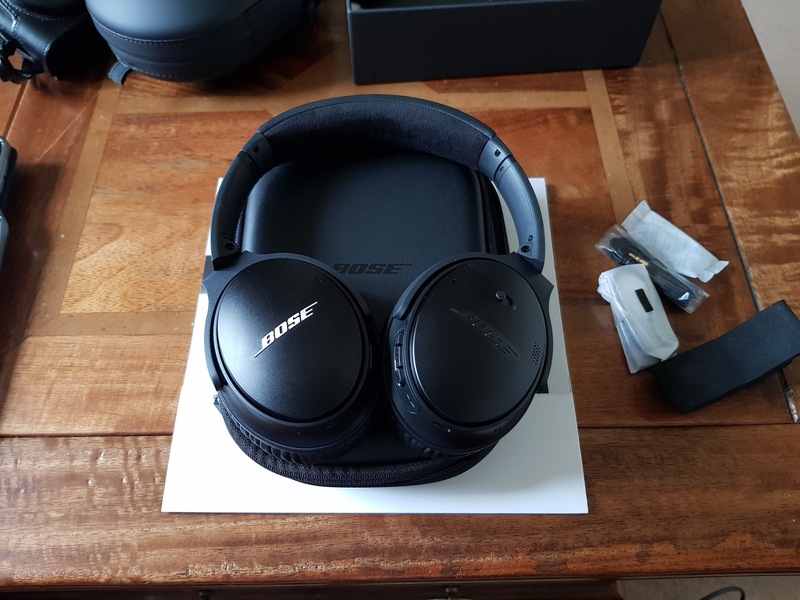 More info on the Bose Quietcomfort 35 IIand latest pricing on Amazon UK – Click HERE. More info on the Beats Studio 3 Wireless and the latest pricing – Click HERE. More info on the Sennheiser HD 4.30 and the latest pricing from Amazon UK – Click HERE. 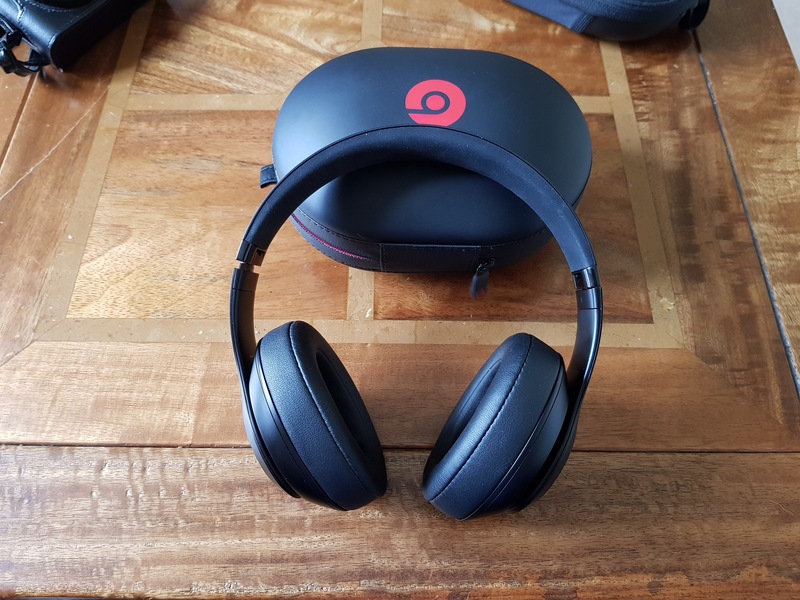 Welcome to my review of the new Beats 3 Studio Wireless Headphones. These feature the new Apple W1 chip and Pure ANC. The Beats 3 Wireless are the upgraded version of the original Beats over the ear headphones. In the update, Beats have improved the headphones by including the Apple W1 chip and upgrading the active noise cancellation. I like the fact you can turn the ANC off whilst connected to your device. I tested the headphones with my Apple iPad Pro 10.5 and Samsung Galaxy Note 8. Excellent results and superb range from both devices. I could walk around my entire house without the connection breaking. The noise cancellation is good, not as good as the Bose QC35, but these do sound better with music. They do not have lip sync issues with YouTube videos. Calls were clear too. Battery life is excellent too. Pairing to an iPhone or iPad is a breeze, see video below, but it is as simple as turning them on. Then a pop up appears on screen with a pic of the headphones. Hit the connect button and that is it. They are now paired to all your Apple devices using iCloud. The Beats 3 Wireless do have a slight bass focus, but nowhere as near as previous versions. Mid and treble is reasonable too. Overall the balance between music and noise cancellation is good. Now lets take a look at the video review. Highly recommended especially for anyone using Apple devices due to the extended range and easy pairing. More info and the latest pricing – Click HERE. PS. Coming up soon, a 3 way comparison between the new Beats Quietcomfort 35 II and new Sennheiser headphones.